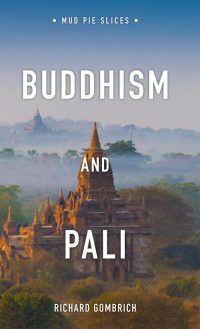 Did the Buddha speak Pāli? This controversial theory is at the centre of Prof Gombrich’s new book. In it, he describes the Pāli language and its place in history, and discusses how the texts were composed and preserved. A common problem learners of Pāli encounter, especially during the beginning phase, is how to write Pāli diacritics. This article introduces some facts about Pāli and scripts to write it with, before it explains what diacritics are and gives detailed help with writing Pāli diacritics, including how to install a keyboard that allows you to write Pāli diacritics. 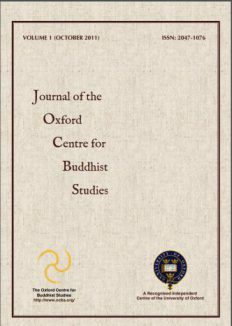 The JOCBS is the Journal of the Oxford Centre for Buddhist Studies. Its first volume was published in 2011. The Journal Joint Editors are Prof Richard Gombrich and Dr Alex Wynne. The JOCBS has an editorial board of four and an advisory board of nearly twenty scholars spread across many countries. Below you will find some of the most frequently asked questions we receive about the JOCBS and their answers. Did you know? We are responsive! Our entire website and all our online courses are completely responsive. What does that mean? You can view everything, including the lectures, on every device. Whether it’s a Mac, a notebook, an iPad or a smartphone. With our courses, you can learn while you are sitting on a bus or walking through the city.